In 1991 and 1992, in the aftermath of the Oka crisis and other upheavals, the Progressive Conservative government badly needed a demonstration of goodwill on an Aboriginal issue. Good little Nunavut came through with the completion and ratification of the Nunavut Land Claims Agreement. And this past May 4, good little Nunavut came through once again. That’s when Nunavut Tunngavik Inc. signed off on an out-of-court deal they negotiated earlier this year with Canada. As many readers likely know by now, the $1 billion lawsuit that NTI filed against Ottawa in December 2006 is dismissed. Each side, including the Government of Nunavut, which was part of the action as a third party, will eat their own legal costs and move on. The federal government is not required to admit to any of the allegations that NTI made in 2006. At the same time, NTI is not required to admit to any of the positions that Ottawa advanced in its legal defence. In exchange, Ottawa will pay NTI $255.5 million in compensation, do a big Inuit human resources survey, participate in creating certain Inuit employment plans, spend another $50 million on government job training between now and 2023, negotiate a new contracting policy under Article 24 of the NLCA, and put more money into the IPGs and HTOs. The deal represents a big climb-down for NTI. In 2003, armed with a study done by PriceWaterhouseCoopers, the Nunavut Inuit org asserted that Nunavut Inuit were losing $123 million in pay and benefits for each year that governments failed to reach 85 per cent Inuit employment. On behalf of their beneficiaries, NTI claimed accumulated losses that exceeded $1 billion. The $255.5 million they settled for represents about a quarter of that. And all sides have turned their back on conciliator Thomas Berger’s most highly publicized recommendation, which formed the background of his second and final conciliation report in March 2006: big new federal funding for a revamped bilingual Inuktitut-English education system from kindergarten to Grade 12. Berger’s final report is now dead and buried. The May 4 settlement agreement makes no reference to Nunavut’s kindergarten to Grade 12 public school system. However, each side was able to cut its losses and declare victory — the best kind of compromise. Given the crucial importance of education and job training for Nunavut Inuit, we have no choice but to answer that question with a qualified yes. Of the $255.5 million that Ottawa must give NTI within 75 days of the May 4 signing, NTI will use $175 million to create an employment training fund. 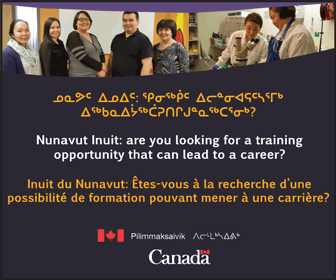 To manage that money, NTI will create a new entity that for now, they call the Nunavut Inuit Training Corp. By the time that body is legally incorporated and staffed, it’s likely to be given an Inuit language name. And because it gets to appoint five of the training corporation’s seven directors, NTI will effectively control how that $175 million is spent. They will exercise that control, however, after receiving guidance from an advisory council made up of experts from the governments of Canada, Nunavut and NTI. And they will eventually benefit from the accurate, reliable data that the Ottawa-financed Nunavut Inuit Labour Force Analysis is expected to generate. 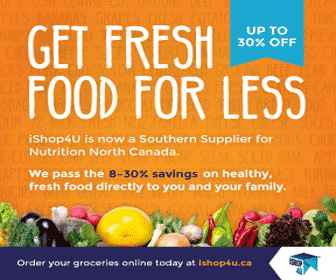 Overall, this has the potential to better the lives of many hundreds and perhaps thousands of Nunavut beneficiaries. For that reason alone, NTI’s lawsuit was likely worth it. But it’s impossible to judge or even predict the impact of a training corporation that hasn’t been created yet. For that, we’ll have to wait until after it’s up and running. As for the federal government’s compliance with Article 24, which covers government contracts, the two sides don’t even have a firm deal. They have simply agreed to negotiate a Nunavut-specific federal government contracting policy by no later than July 31, 2016. Right now, all they have is a “proposed work plan.” Don’t hold your breath. NTI’s biggest win, however, might be the new version of Article 38 that Ottawa has agreed to. That’s the section of the NLCA that states how parties to the agreement must work out disputes over implementation. 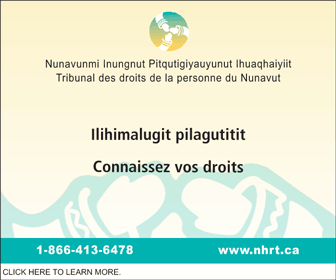 Under the new system, NTI does not need the consent of the Nunavut or federal governments to refer an implementation dispute to arbitration. That’s much different than the old dispute resolution system, which Ottawa used to block many of NTI’s attempts to seek arbitration. For NTI’s lawyers and elected executives, that left NTI no choice but to go to court.